This ethereal garden is situated on the foot hill of the Shivalik ranges of the Himalayas. 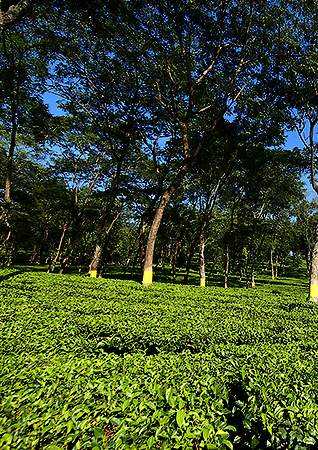 The first tea bush was planted in Hope Tea Garden around the year 1878. 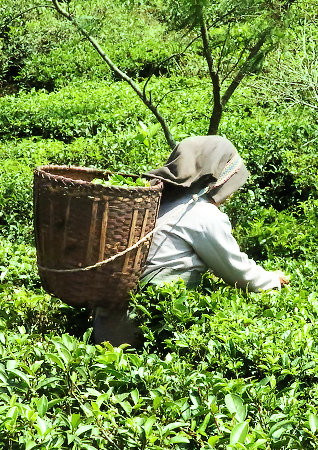 Looking back at the origins of the garden, it is said that it got its name after the daughter of the then major share holder of the Hope Tea Company, whose name was "HOPE". By 1880, the first factory came into existence near the Thal Khola. 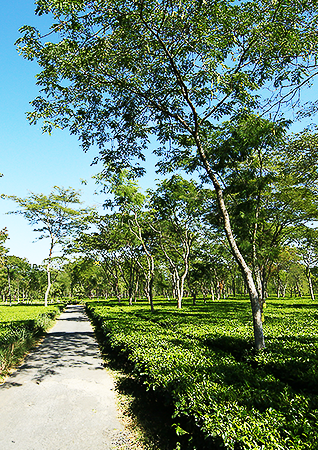 During that period, tea leaves were taken down to the factory by bullock carts. Eventually the factory was shifted to its present site in 1886. The first people deployed in the garden were the "Santhals" who have inhabited the garden over last two hundred years. Slowly, Adivasi and Nepali labourers were brought from the Chota Nagpur belt and Nepal in year 1880 A.D. The garden is situated at about 1200 ft above the sea level with moderate climatic conditions. During summer the climate of the garden generally remains quite pleasant and cool due to proximity to the hills. The view to the north from the garden along the Bhutan border is enchantingly beautiful. The land is undulating and has many running streams, ridges and small hillocks.